Kangana Ranaut's recent release Manikarnika has been into lots of controversies. Talking about how people send her their trailers to see and praise on social media, Kangana Ranaut said, "These girls send me their trailers like Alia (Bhatt) sent me the trailer of Raazi and said, 'Please watch it'. For me, it was not a Karan Johar film or Alia film, for me, it was a film on Sehmat Khan, the girl who has given her everything to the country." 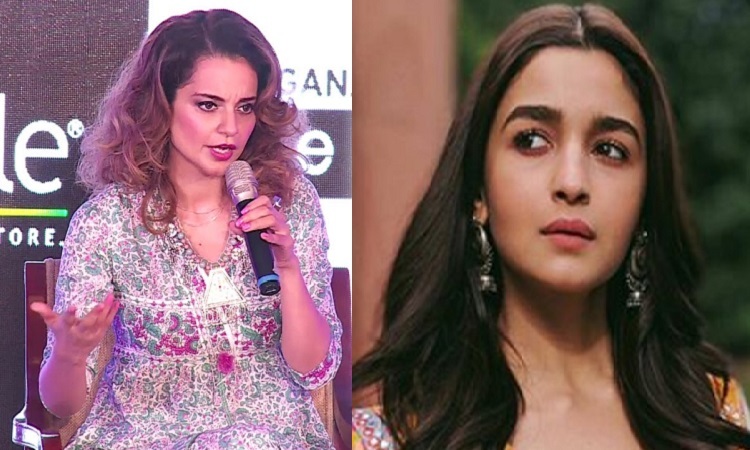 Kangana further added that she spoke with Alia Bhatt and Meghna Gulzar for half-an-hour during Raazi, but, when the time came for her film to be promoted on social media, she didn't receive the same favours. She added that she even went to Deepika Padukone's 'Piku' screening. She reminded us how she saw Sonakshi Sinha's 'Lootera' and for an entire year kept on praising it. The Queen star also said that she went all the way to the Ambanis' house to talk to Aamir Khan about doing Dangal, but 'they don't come for my trials'. She said that she doesn't expect any of them to write about her 'two-three films' that are coming up. On the work front, Kangana will be next seen opposite Rajkummar Rao in the film Mental Hai Kya and then in director Ashwini Iyer Tiwary's next.